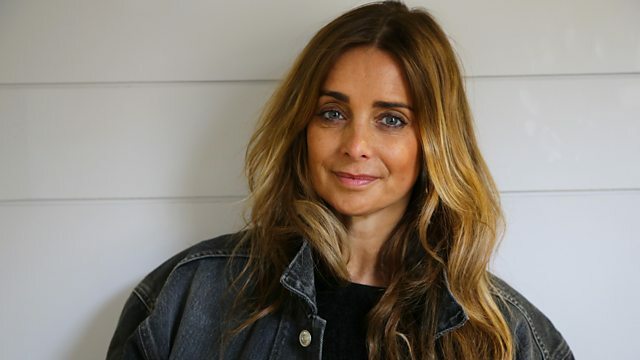 Singer Louise Redknapp, tampon tax and women's charities, Sara Collins' debut novel, and children and food allergies. 9 TO 5 THE MUSICAL tells the story of Doralee, Violet and Judy - three workmates pushed to boiling point by their sexist and egotistical boss. Louise Redknapp should have joined the cast for the opening of the show at the beginning of the year but had to withdraw after she fell over hurting her chin and breaking her wrist. Now fully recovered she’s ready to take on the role of Violet Newstead. She talks to Jenni about the relevance of the 1980’s musical in today’s world. The Women’s Resource Centre – an umbrella group for women’s charities - has released an open letter and launched a petition, saying that the money from the Tampon Tax is not going to enough women-only charities. They say women’s charities are under-resourced and if they’re not funded properly expertise will be lost. Most of the latest round of money has gone to charities that support men and women although it’s targeted to projects that help women and children specifically. After 17 years in law, Sara Collins left the profession to study Creative Writing at Cambridge University. She became obsessed by the idea of writing ‘a Gothic novel where the heroine looked like me'. The result is her debut novel, ‘The Confessions of Frannie Langton’, a fascinating story about a Jamaican woman in Georgian London. Food allergies affect 3-6% of children in the developed world and appear to be on the rise. What do parents need to know about the diagnosis and management of food allergies in infants and children? We hear from Holly Shaw, a nurse advisor from the charity Allergy UK and to Stephanie Hulme, whose son experienced an unexpected and severe allergic reaction to a fruit smoothie at the age of 3 and went on to be diagnosed with other allergies.